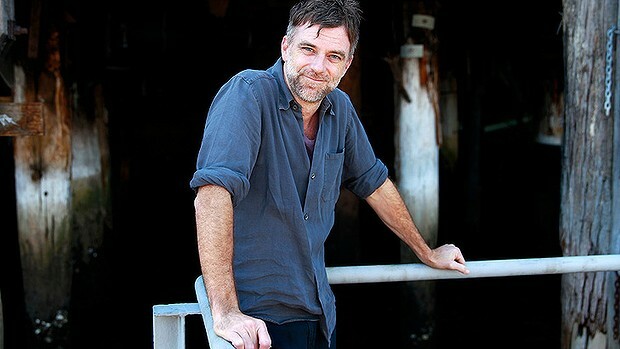 FIELDING questions about Scientology is nothing new for the acclaimed American filmmaker Paul Thomas Anderson. After early reports that his much-anticipated follow-up to There Will Be Blood featured a character based on L. Ron Hubbard, the founder of the controversial religion that some consider a cult, there was speculation The Master would be some kind of exposé. The five-time Oscar nominee, whose other movies include Boogie Nights, Magnolia and Punch Drunk Love described the speculation during his visit to Sydney as ''kind of irritating''. ''It's like a little fly buzzing around your head because it was not the film that we were making,'' Anderson said. ''But you can't manage people's expectations particularly when that word makes people buzz and get excited and they salivate over it and they want to know more and they want to gossip about it. The Master, which opened the first Cockatoo Island Film Festival this week, centres on a damaged World War II veteran, played by Joaquin Phoenix, who falls under the influence of a charismatic cult leader, played by Philip Seymour Hoffman. It's an ambitious, thoughtful drama that has been considered a likely Oscar nominee for best picture since it won directing and acting awards at the Venice Film Festival. Anderson, who was keen for a swim at Bondi during his visit to Sydney, said it was a delight having the movie selected for the new Sydney Harbour festival. ''I can remember starting out and you just want to be part of a film festival,'' he said. ''And you're lucky to be in some sidebar way over here and you're screening at 10 o'clock at night. Anderson is an Obama supporter but is unsure how the US presidential election will pan out. Nice! I know PTA donated to Kerry's campaign in 2004 but wasn't sure if he was still on the D's side. This is the first time I've seen him admit to being a Democrat in an interview.